This book should be read by everybody in Britain interested in our future. 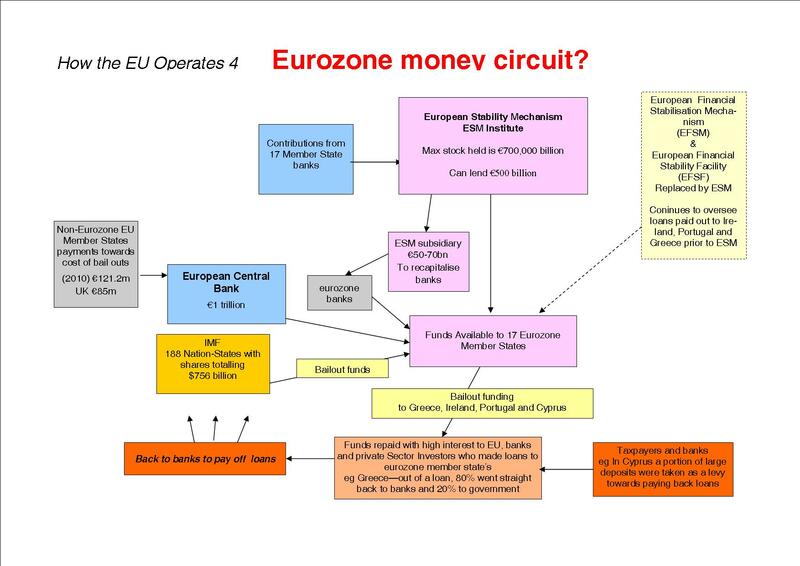 It shows why Britain should have no part of the euro. 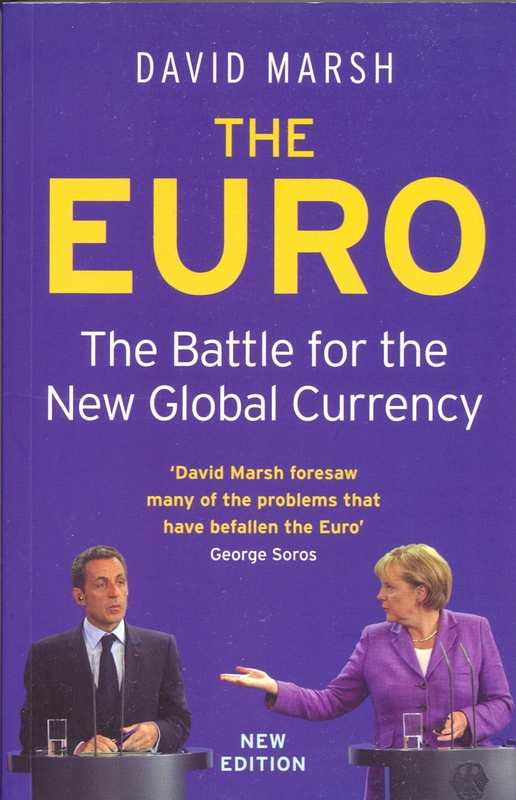 David Marsh explains the turbulent history of the euro with numerous examples of “in fighting” related to the unavoidable national question, particularly between the two main EU nation- states, namely, Germany and France, with Germany the dominant “partner”. Often these disputes arose from attempts to ‘keep Germany in her place’ or the ‘balance in the power’ struggle between Germany and her ‘partners’. This is a form of nationalism, which CAEF does not approve of. Here is an example. At a meeting of German and French officials to discuss a suggested Franco-German Defence Council, mainly about French battlefield nuclear weapons, the German officials spoke of the need for working in concert with the French about their nuclear weapons capability. Jacque Attali, an advisor to Mitterrand, then said, ‘So that we can have a balance, let us now talk about the German atom bomb’. The astonished German officials said, ‘You know we don’t have the atomic bomb – what do you mean? Attali said; I mean the D-Mark’. According to Marsh after America engineered a cut in interest rates in 1972 the Bundesbank was prompted to lower its interest rates and the German government to impose capital controls to prevent German companies borrowing abroad. This was followed by a meeting between Brandt and Pompidou to restore momentum towards European Monetary Union by re-launching the plan for narrower exchange rate fluctuation margins called the ‘Snake’. Marsh shows how devastating the Snake was and which was set up in April 1972. Britain joined a week later. But in June a wave of international selling forced Britain out of the Snake. The Treasury and Bank of England suffered reserve losses of $2.6bn in a week because they were forced to use intervention sales to prop up sterling. The European Monetary System was a device introduced in 1979 along with European Currency Units (ecu) the forerunner of the euro. Thatcher’s opposition to Britain joining the European Monitory System (EMS) did not stop her from signing the Community treaty establishing the Single Market, the Single European Act – which laid down the ultimate goal of European Monitory System. It was Jacques Delors, at the European Commission in Brussels, who drove through the Single Market agenda for border free harmonised European trade. However, many people do not realise it received considerable support from Margaret Thatcher. Britain’s stridently free market Conservative prime minister saw the Single Market as opening up enormous corporate potential for British companies, especially in financial services. Marsh points out it was the Delors Report that laid down the EMU objective as combining full integration of financial markets, irreversible convertibility of currencies, irrevocable fixing of exchange rates and complete liberalisation of capital movements. Trade unionists would do well to realise this is the same Delors that trade union leaders welcomed to the 1988 TUC with his Social Charter which is now being decimated by implementation of the Report in his name. Four years later, at the high point of the Exchange Rate Mechanism crisis, in September 1992, Britain suffered a severe loss of $30bn in one day! At this point Britain withdrew from the ERM. The Maastricht Treaty was ratified in 1992 which contained strict convergence conditions for entering the euro. 4) because the Chinese and Japanese are large holders of Euro assets. But, unsurprisingly he has no solutions to the Euro crisis. However, he also quotes Dutch central banker, Andre Szasz, as saying adjustments in the Euro area are being impeded by a series of built in checks and balances that make EMU’s problems virtually unworkable . 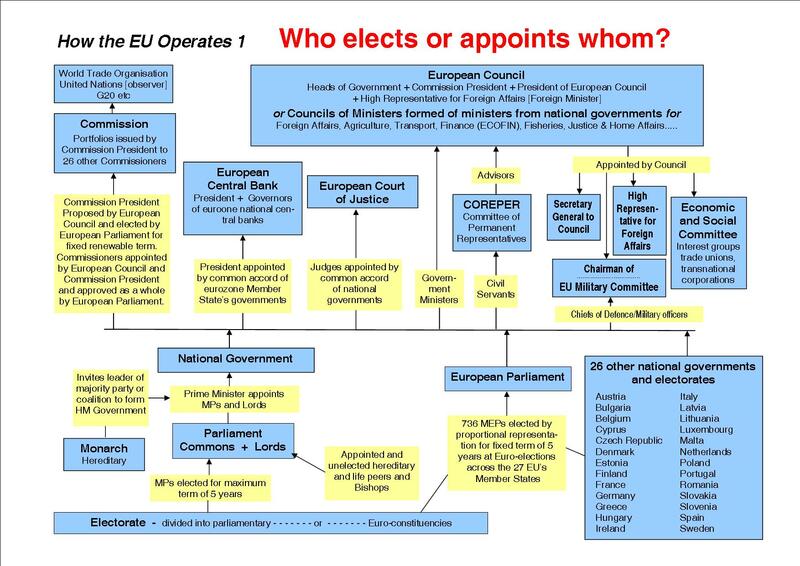 Since the book was written the EU has turned more and more to dictatorships of finance capital hence the imposition of Lucas Papademos in Greece and Mario Monti in Italy as prime ministers to force through austerity programmes. It would be better for the labour movement in Britain and the peoples of Europe to work together to oppose austerity cuts, the Euro and the EU and build a Europe of independent democratic states freely co-operating with each other in friendship.